Justina holds a bilingual Honours Bachelor in Health Sciences degree from the University of Ottawa as a Loran Scholar. 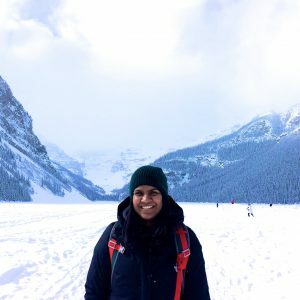 Originally from Yellowknife, Justina has worked in both urban and rural settings including Toronto, Halifax and Chettipalayam, India. She has a passion for working with Northern communities with previous work on drowning prevention in Alaska and emergency medevacs of Inuit children from Nunavut to Ottawa for acute respiratory illnesses. Justina is currently working at ICHR on evaluating patient experiences within Nunavut and the Northwest Territories. Her 2017 project examined traditional medicine access for Indigenous patients in NWT medical centres.